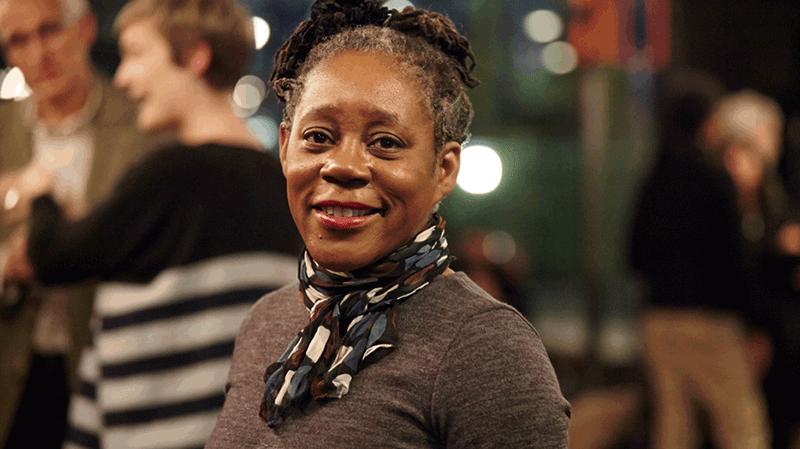 Sonia Boyce, Professor in Fine Arts at Middlesex University, is leading a research project exploring the fundamental contribution of black British artists to modern art history. Black Artists and Modernism is a three-year investigation conducted by artists and researchers at University of the Arts London in collaboration with Middlesex University. Supported by £700,000 of funding from the Arts and Humanities Research Council (AHRC), the project will bring to light the largely overlooked role played by black British artists in contemporary art history and their presence in the UK's national art collections. "The UK has produced and fostered artists of African and Asian descent for at least a century. By looking to play close attention to the works of some of these artists, Black Artists and Modernism – BAM for short – seeks to flesh out a broader story of modern and contemporary art," said Professor Boyce, who was herself a leading figure in the British Black Arts Movement of the 1980s and, in 2007, was awarded an MBE for services to art. The BAM team will partner with cultural institutions across Britain, including Tate in London, the Herbert in Coventry and the Bluecoat in Liverpool, to conduct their research. Their findings will be used to compile the first-ever database of works by black artists currently held in British public art collections. A dedicated website, a monograph and a programme of exhibitions and symposia will further highlight how the work of black British artists shaped modernism and has come to impact the art world today. A television documentary has also been proposed. Scholars and artists around the world have expressed their support for the project, acknowledging it as a vital and significant body of work. "BAM will re-write British art history and set the contemporary record straight for a generation to come," said Courtney J Martin, Assistant Professor in the History of Art and Architecture at Brown University. Kellie Jones, Associate Professor in the Department of Art History and Archaeology at Columbia University, described BAM as "a magnificent project. It presents a timely exploration of amazing early work that was the base of explorations for so much that has come later and changed the face of how we view art in the world." As well as challenging public perception of modern art history, BAM seeks to open up the work of black British artists as a field of study to a new generation of art historians, academics and students. "The biggest difficulty of incorporating these artworks into the narratives that make up art and design teaching is that there are not enough resources, and there is not enough scholarship," said Professor Boyce. "The hope is that the BAM project will start to address some of these concerns. We want everyone to know that there is a wealth of practice that has, and continues to take place, right in front of us."